Product code: 235 Categories: Sold Items, Sold Jewellery. 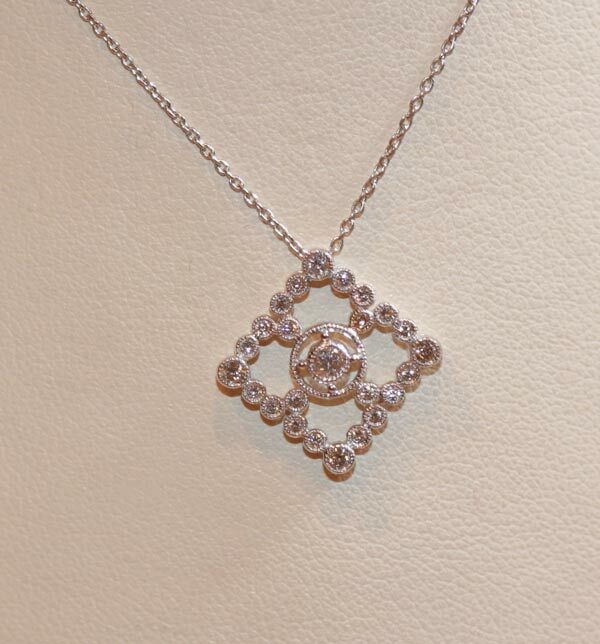 This is a very nice 18ct white gold diamond pendant, in the Art Deco style. The total diamond weight equals 0.28cts, and are G colour, and VS clarity, meaning that they are nice clean white diamonds. The chain itself is 18ct white gold, and this is really such a lovely pendant.